Work day at Nyero school, Uganda. Permaculture in Practice. The participants from our recent PDC in Kamuli Uganda led on this workshop in Nyero. 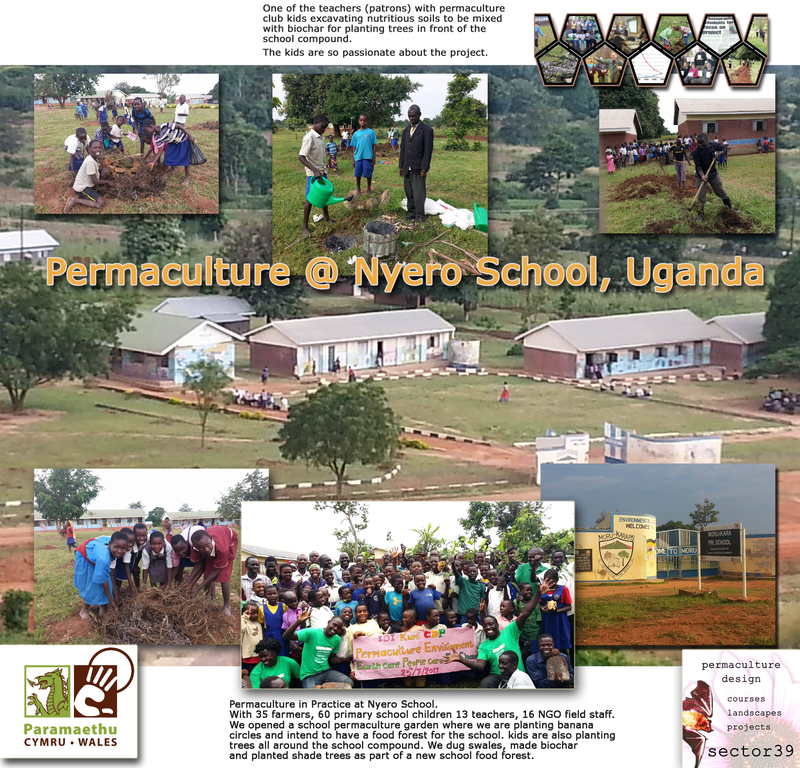 Congratulations to Godfrey and Helen and their team members for this wonderful work at Nyero school Uganda. 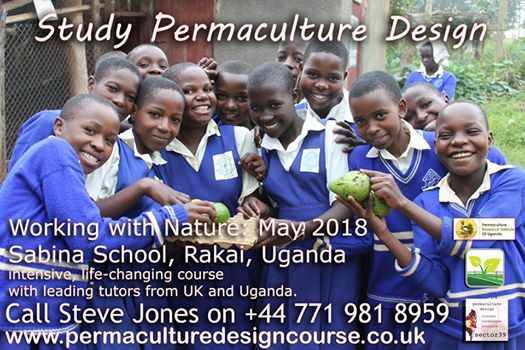 Helen and Godfrey attended the Sector39 PDC in Kamuli in May this year and are now working through their local community to help promote permaculture in schools. Here together with 60 pupils and staff and NGO workers they have begun a school permaculture make over. Planting the first trees of their food forest, digging swales, making biochar and designing and planting tree guilds. We believe every school should be talking about Climate change and building a more resilient landscape. Schools can use their buildings and grounds to trap water, build soil and develop useful yields from what they already have and without significant investment other than that of time and energy of the students and teachers. Sector39 are training practitioners who can lead on this practical and inspirational work to help build capacity t fight climate change and build a more secure and localised food supply. Our next full PDC will be at Sabina School in Rakai District of Uganda. Great to see what one school can do in a day! We want to challenge all schools to do a permaculture make over.. what is your vision for carbon negative schools? Lets get to work on making that vision happen!